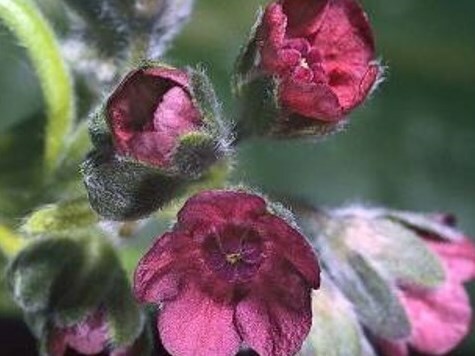 Cynoglossum officinale (houndstongue) is a biennial forb (family Boraginaceae) whose foliage can be toxic to horses and other livestock when it contaminates hay. In California, it is found in the Cascade Ranges. The seeds have hooked projections that facilitate long distance dispersal by animals and humans.